Adams takes the oath of office but finds himself beset with problems from the very beginning, including a threat for his Cabinet to resign. 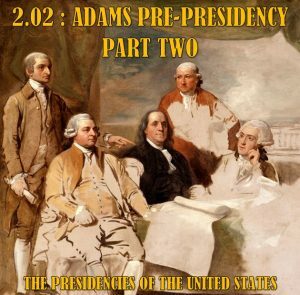 A brief overview of events in Britain, France, and Saint-Domingue that would impact the Adams presidency. The Adams administration learns of a break in diplomatic relations with France and works to determine an appropriate response as Adams cultivates sources of information in Europe independent of the State Dept. 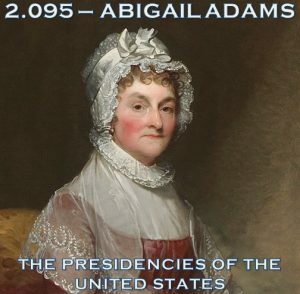 Abigail Adams arrives in Philadelphia as the first of the original six frigates of the US Navy is launched and Adams appoints peace commissioners to France. 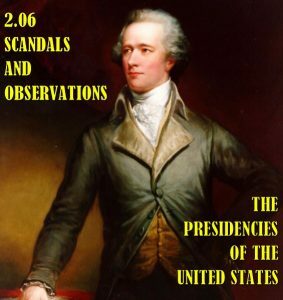 Meanwhile, scandal rocks the Senate and news of Hamilton’s extramarital affair becomes public. The three commissioners sent by Adams arrive in France to begin negotiations but are under pressure from French Foreign Minister Talleyrand to pay a bribe in order to be officially recognized. 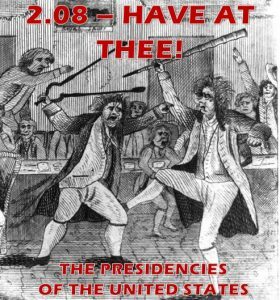 2.08 – Have At Thee! 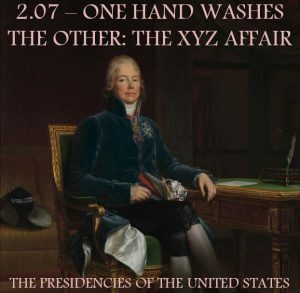 The Adams administration learns of the XYZ Affair, and the President is faced with the decision of whether or not to go to war. Meanwhile, partisan divisions lead to physical brawls on the floor of the House. 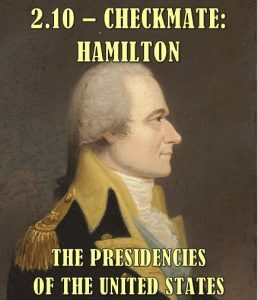 Adams & the Federalists are ascendant in Philadelphia as the public learns of the XYZ Affair but go a step too far. Meanwhile, other geopolitical developments slowly draw in the expansion-minded US. The life and legacy of Abigail Adams as explored in narrative and in an interview with historian Feather Schwartz Foster. 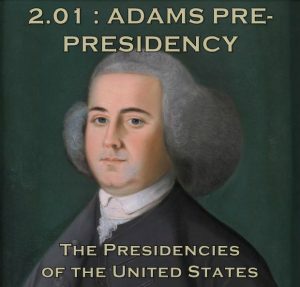 Adams quickly comes to regret his naming George Washington as commander-in-chief of the US Army when Washington decides to appoint Alexander Hamilton as his second in command. Meanwhile, Gerry’s mission to France makes little headway as Talleyrand and Napoleon focus on plans to reestablish France as a major colonial power. 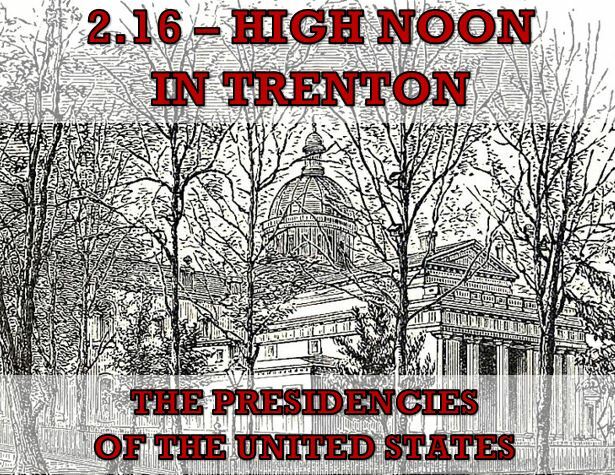 The government is challenged with a temporary move to Trenton and with Secretary of War James McHenry having his position in the Cabinet undermined by General Alexander Hamilton. 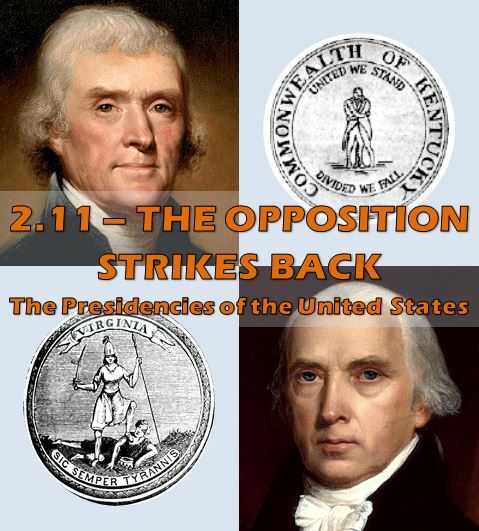 In Quincy, John Adams meets with Elbridge Gerry to learn more about the latest offer for diplomatic talks with the French while in Virginia, Vice President Jefferson and former Rep. James Madison plot how to oppose the Alien and Sedition Acts. 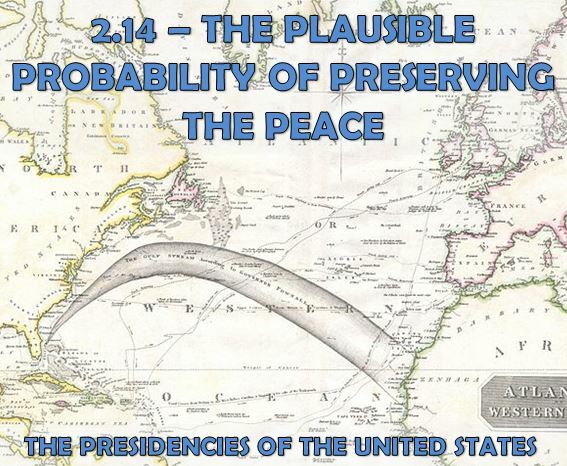 As the nation gears up for the possibility of war with France in 1798, President Adams is increasingly focused on the possibility of peace as he prepares his annual message to Congress. Meanwhile, a rising star in the French military suffers a major setback that imperils the French Republic’s position on the global landscape. 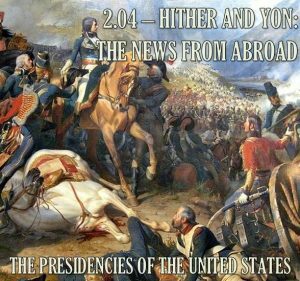 Despite the wealth of evidence coming in of the sincerity of the French Directory in seeking peace, President Adams found himself at odds with his Secretary of State Timothy Pickering at the beginning of 1799 with Pickering continuing the push for war. Meanwhile, the US Navy proved its worth in protecting American shipping in the Caribbean just as relations with the British began a downward spiral once more. dams throws the American political landscape into a frenzy with a special message to Congress announcing that he was appointing a new Minister to France to negotiate peace. 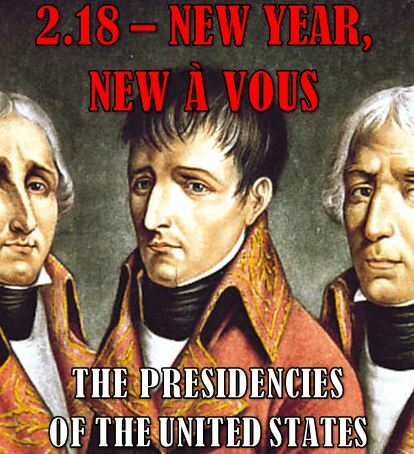 While exploring what this all means for Adams, his administration, and the nation, we also take a step back in this episode to look at the influence of American policy in Saint-Domingue and South America on the realities and future of Franco-American relations in 1799. 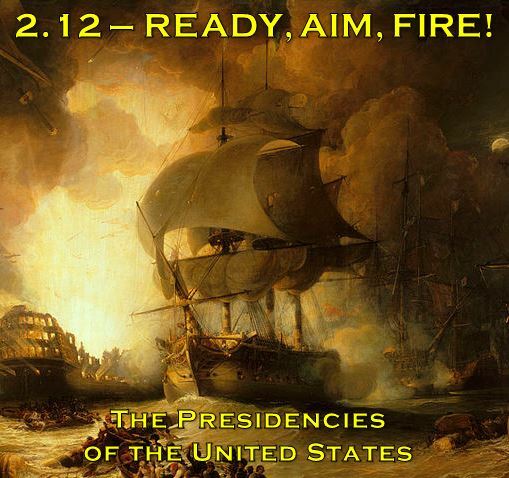 John Adams makes a fateful decision that threatens his administration and its ability to react quickly to developing events. Meanwhile, General James Wilkinson’s past collusion with the Spanish is discovered by a government agent in the Mississippi Territory. 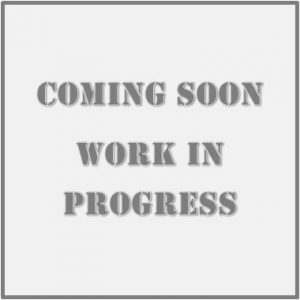 Closer to home, Fries’s Rebellion comes to a close as harassment of Democratic-Republican newspaper editors ramps up. 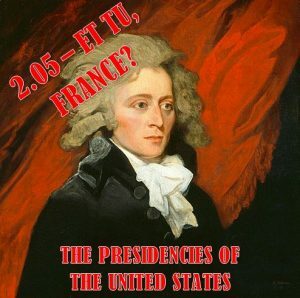 New unrest in the government of France in 1799 presented President Adams with an important decision as to whether to continue with his peace overtures. 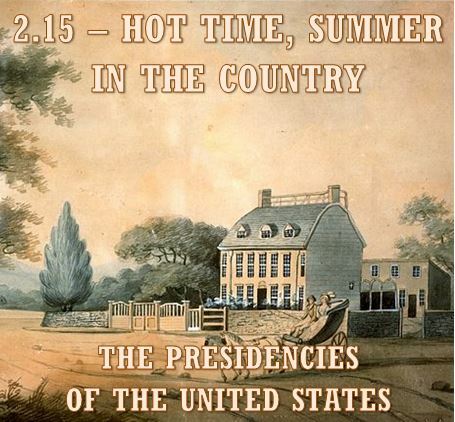 Meanwhile, competing agendas within his own administration prompt one of Adams’s Cabinet members to urge him to end his sojourn in Quincy as yet another yellow fever epidemic strikes Philadelphia. 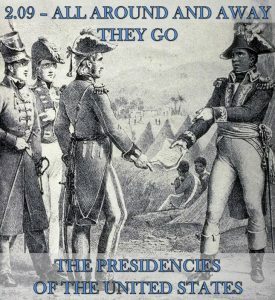 In Trenton, Adams confronted his Cabinet as well as Gen. Alexander Hamilton over the peace mission to France before the government moved back to Philadelphia for one last winter. 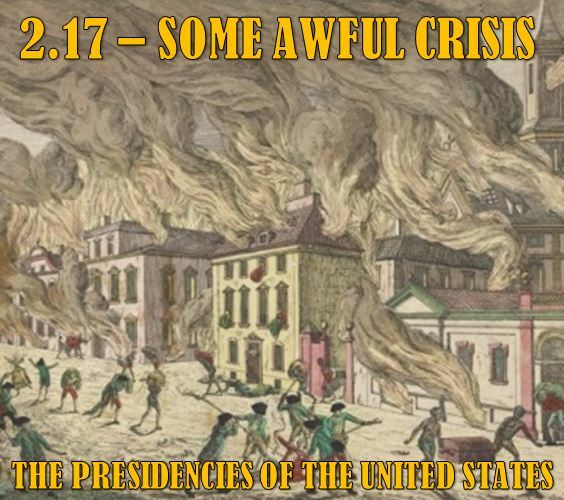 After the new session of Congress began in December 1799, news arrived which was described as a national tragedy and had many wondering what lay in store for the US as a new century dawned. The French Directory falls, and the three US peace commissioners are left with many questions as to how to proceed before they even arrive in Paris. 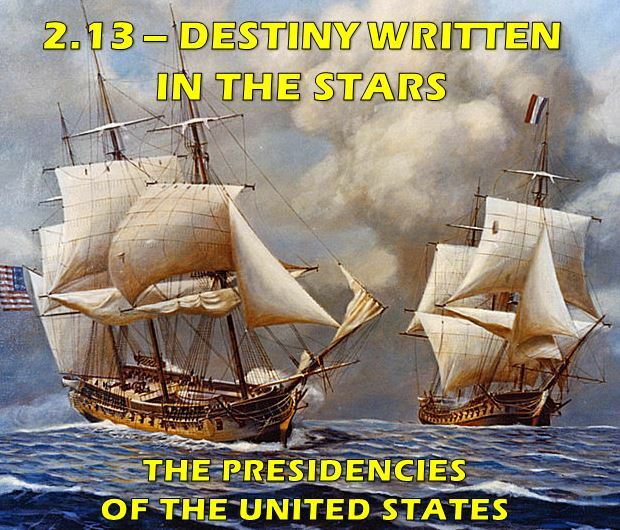 Meanwhile, the US government considers a change in its policy towards the Barbary States, and the USS Constellation engages French naval forces once more in the Caribbean. 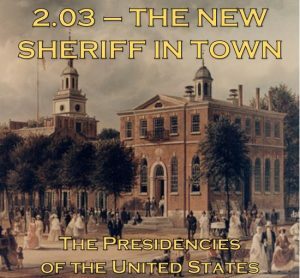 As the presidential election of 1800 looms and party leaders begin weighing their options, President Adams decides that the time is right to make a few changes in his administration. To the President’s detriment, though, Arch Federalists are scheming at the same time to remove him from his office. Meanwhile, new congressmen are making a name for themselves, and Toussaint L’Ouverture works to consolidate his power in Hispanola.